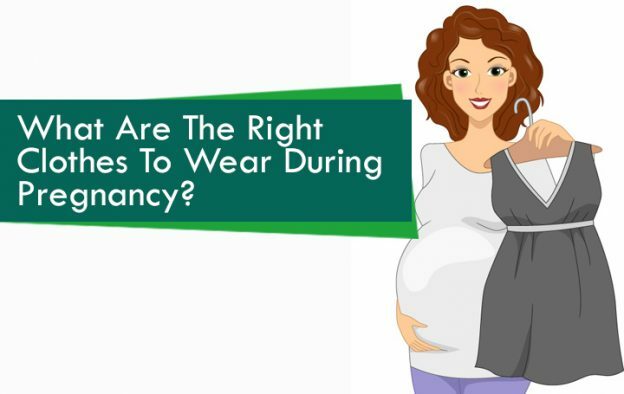 What Are The Right Clothes To Wear During Pregnancy? Pregnancy is one of the beautiful phases in a woman’s life. During this phase the body undergoes physical transformation and demands soft and comfortable clothing. The best garment for pregnant women is the one that allows the abdominal area to expand, as it is imperative for both the mother and the baby. In the old days, most pregnant women chose to wear their old clothing, and did not even consider buying maternity clothes. Concerning about their appearances was less, mostly because they tend to feel ‘out of shape’ during the pregnancy stage. However, this is not the current case, where many pregnant women work, socialize and sometimes even travel internationally, and do need to stay both comfortable and attractive. Naturally, the proper clothing requirements of today’s expecting mothers are different. It has become a popular trend to wear fine quality and well-designed clothes during pregnancy period. Most pregnant women today are no longer trying to hide or cover up their pregnancy; instead, they are choosing different varieties of garments that fit into their new shape. Some women like to dress in a very subdued way during pregnancy, a few like to show their bump and some like to hide it, pregnancy wear are available in different styles to suit all three expectations! Choose light and comfortable clothes; do not wear extremely snug or figure-hugging outfits. You can choose traditional clothes that are tailored to your shape & style and is in your budget. Wear clothes that provide support to your stomach. Keep your garments simple and flaunt any dress that you like, but be confident about it. You can spend on your pregnancy clothes depending upon your lifestyle, your budget, etc. You can also choose clothes according to your professional guidelines, i.e., if you work in corporate sector, then you obviously are required to go for the crisp office look. But never compromise your comfort! One of the most important factors to keep in mind while choosing maternity or pregnancy pregnancy dresses is the level of your comfort zone while you are wearing them. Your clothing should evolve as your body changes every week. Pick clothes that give you more of a breathing room – think zipped pants and skirts. Wear a long shirt to cover the zipped skirts or pants. Wrap tops during pregnancy are simple and cheapest things that can be easily adjusted as you expand. Tunic tops too, are attractive, but make it a point to stick to fabrics that are soft, comfortable and breathable. Try and wear natural fibers since they are the best. Choose light prints and avoid bold, big prints. For a loose and laid back feel, wear longer shirts with buttons. Fashion does play an important role when it comes to choosing clothes at the time of pregnancy, but keep in mind that you and your baby’s health comes first. Maternity pants at the waistline should be loose and elastic should not obstruct the baby’s movement or confine the blood flow to the stomach. The belly band, which holds up the unzipped jeans, skirts, pants, or low-slung jeans, should provide support around your waist. Maternity style clothes have added space for the belly and bust, as these body parts grow in the later months. 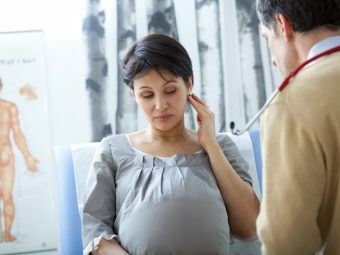 Still, some pregnant women may prefer to stick to non-maternity. In that case, to ensure a comfortable fit, they should choose clothes that are larger in size than they normally wear. Depending on your weight you need to buy larger sized garments for your final months. For first three months of pregnancy, you can stick to regular clothes. For the later months, you may need maternity clothes that will be larger in size than your regular clothes. Stick to subtle, complimentary shades of clothing and soft fabric that allows you to move around without being all uncomfortable and irritated. Large shirts with buttons, slim fit pants and skirts should do the trick. You can also choose combinations of non-maternity tops and sweaters. Maternity clothes selected during exercising should be airy, loose fitting and comfortable. Stick to natural fibers like cotton, Lycra, spandex etc. These fabrics are breathable and help regulate body temperature. Avoid tight clothes, choose clothes that are more flexible to move and stretch. 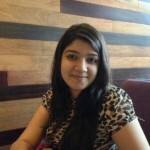 Ideally, clothes chosen during pregnancy should leave lots of space for belly area. During the pregnancy months, your breasts get heavier and tender. This indicates shopping for new maternity innerwear. Selecting appropriate bra-size is important, as your breasts needs to be paid proper care and support. Pregnancy allows the breasts to enlarge during this time, thus absolute comfort is a must. Choose bras made of cotton materials. The bra should support your back and shoulders, and yet, you should not feel strained while wearing it. Make a good choice of the maternity bra, as we are sure you don’t want to end up looking like an old lady later! During pregnancy, stick to flat sandals and shoes and avoid high heels at all costs. The best time to get out and shop for maternity clothes is when you discover you are pregnant. Shopping is a great stress buster, and you’ll love the feeling of shopping for the most special period of your life. You can look up some cool tips online before deciding what to wear during pregnancy. Also stock on some loose clothes, and keep in mind to shop for seasonal clothing too! Always wear clothes which are comfortable for you and makes you happy and confident in any of the situation. Due to hormonal changes during pregnancy generally woman gives off more glow than never seen before. So stay calm and show your baby bump-love this period as this is going to be your lifetime experience. 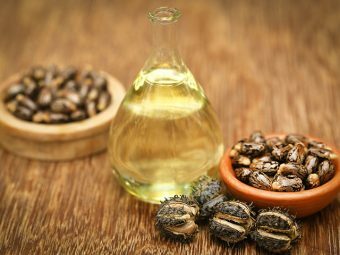 How To Use Castor Oil To Induce Labor?